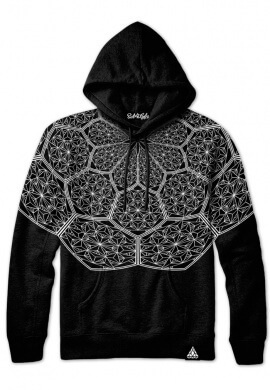 Care Instructions Sport wash. Air dry. 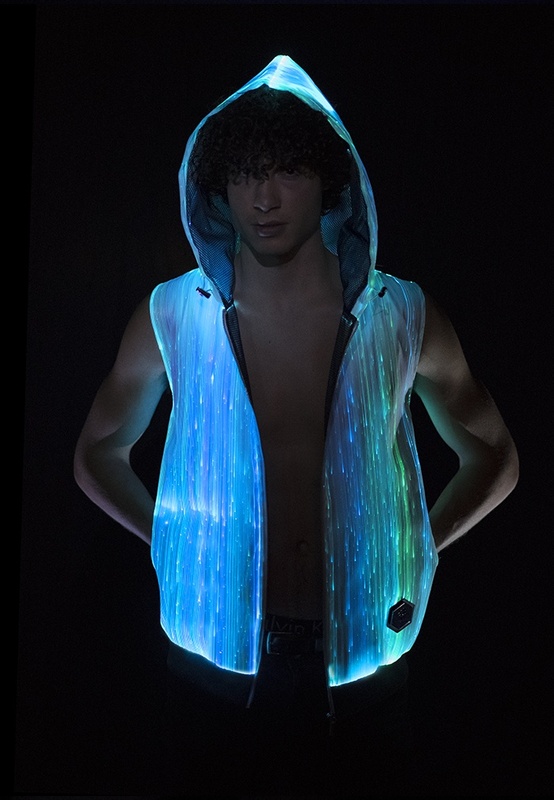 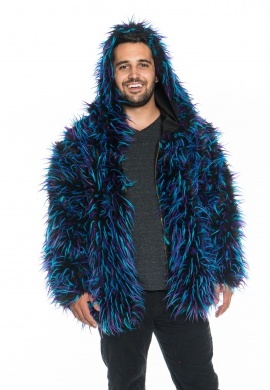 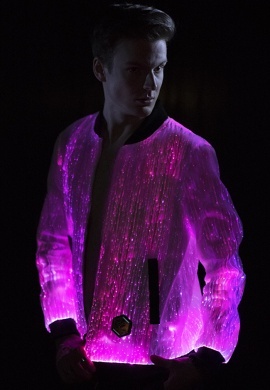 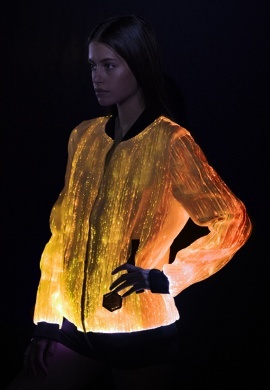 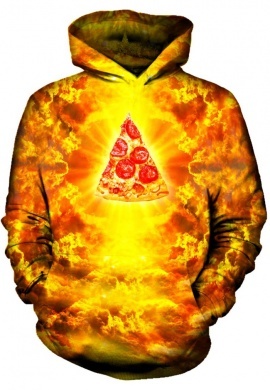 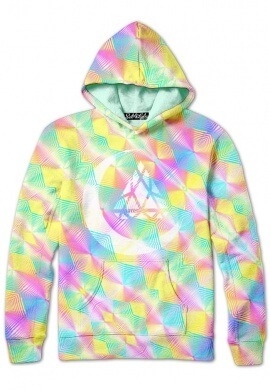 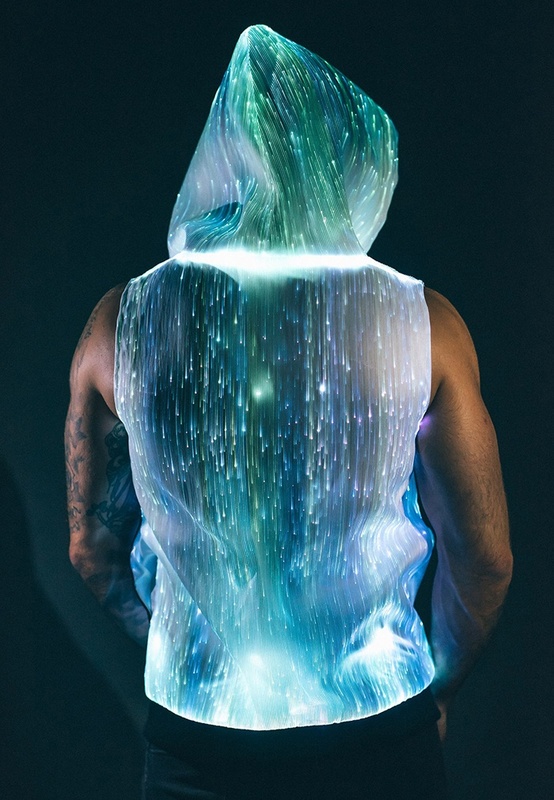 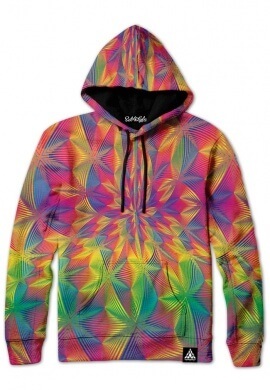 This light up hoodie is made of next level light up material. 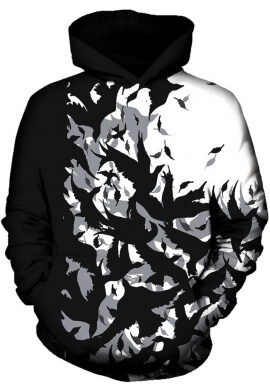 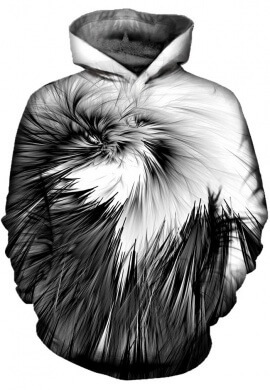 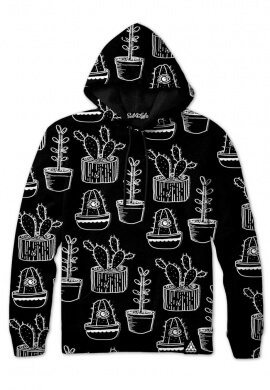 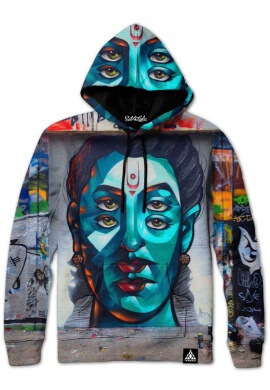 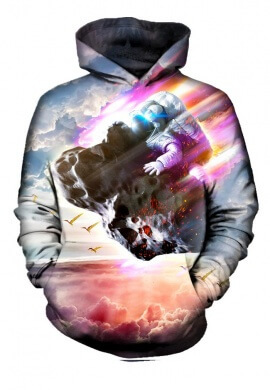 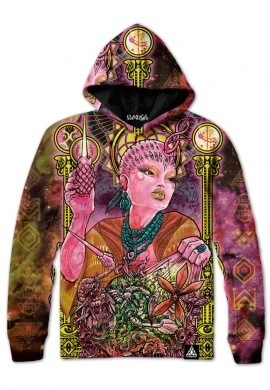 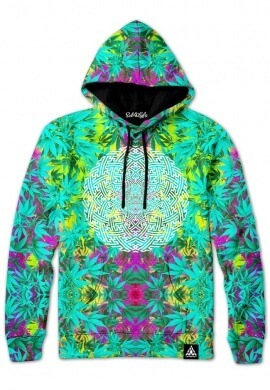 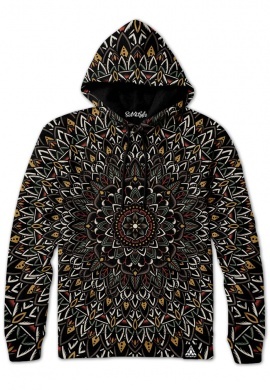 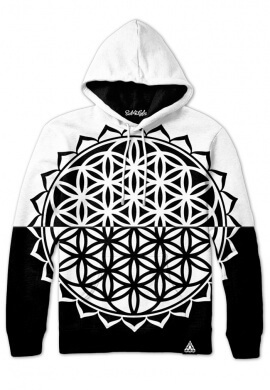 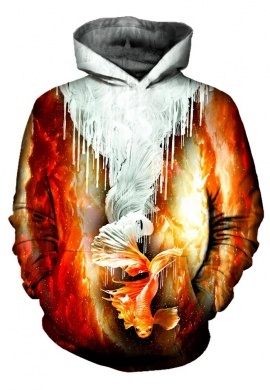 This cropped sleeve hoodie looks just like the photos and will totally trip everyone out. 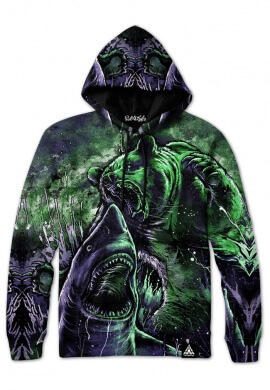 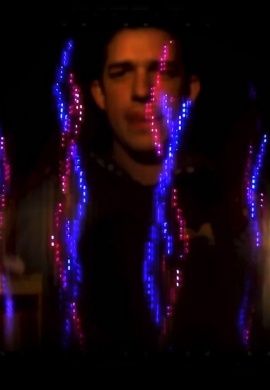 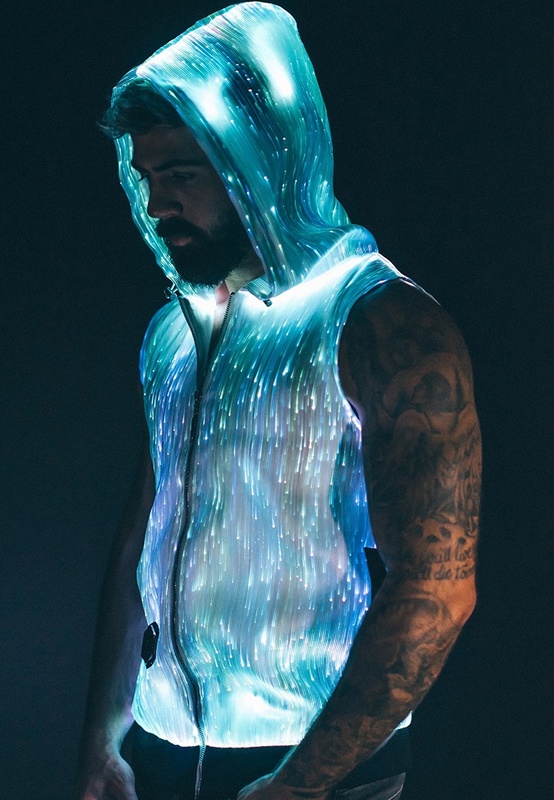 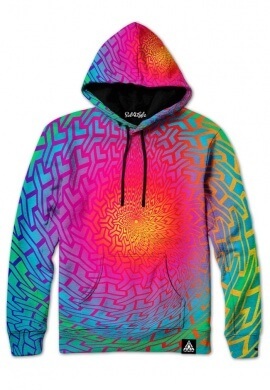 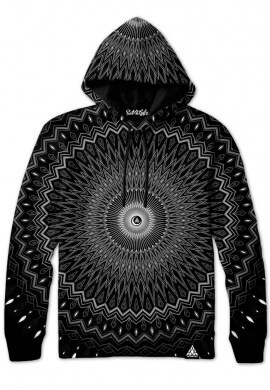 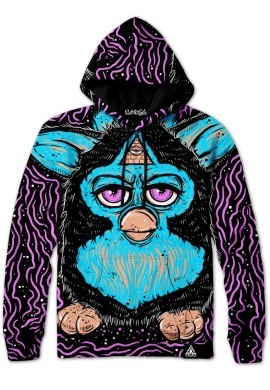 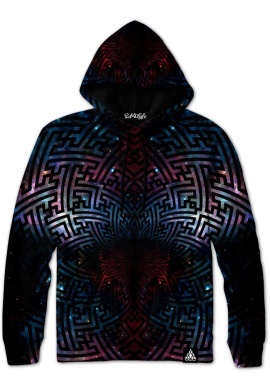 When it's turned off it looks and feels like a pretty standard shirt but when you turn it on the entire hoodie lights up in an incredible fiber optic light show. 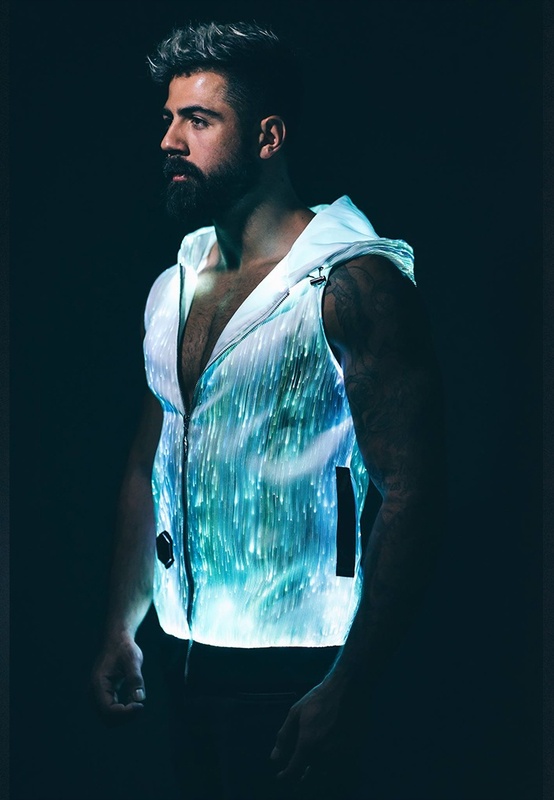 You'll be impressed with the quality of this hooded vest, it's an everyday wearable festival favorite with a high quality zipper and hood toggle with a soft lining that helps regulate your body temperature. 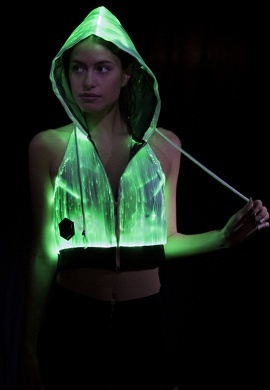 Pockets on the side will help keep your valuable safe while you're shining on the dance floor. 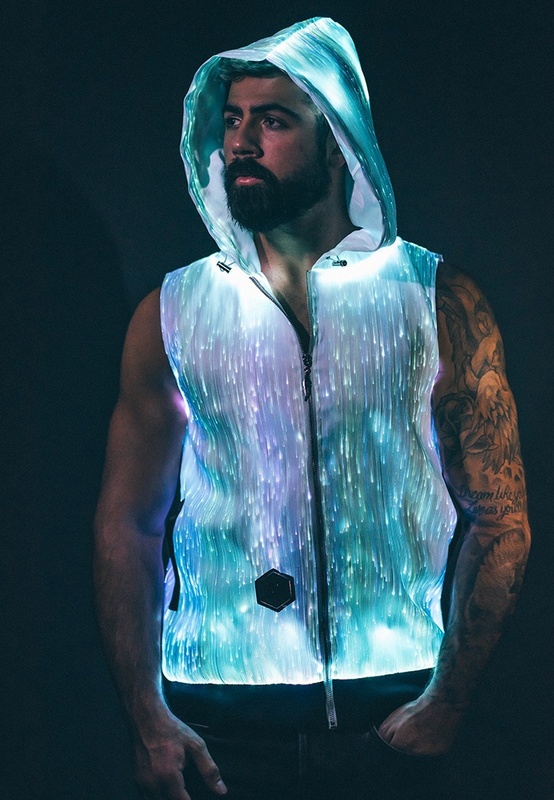 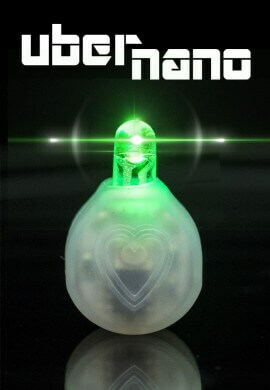 Using a combination of high powered LEDs and fiber optics this is the best solution for lighting up the night at Burning Man, Electric Daisy Carnival, Lights All Night, or every single night! 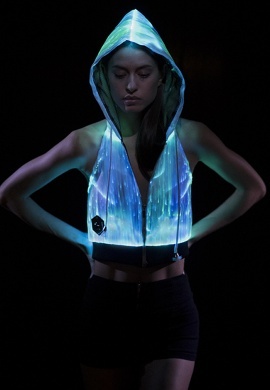 Download the Inlighten Co app on your Apple or Android device so that you can connect to your hoodie with a Bluetooth connection. 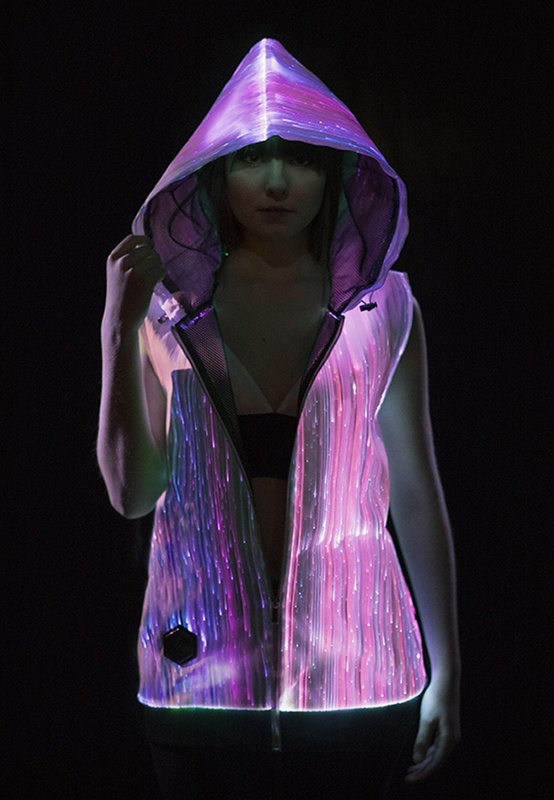 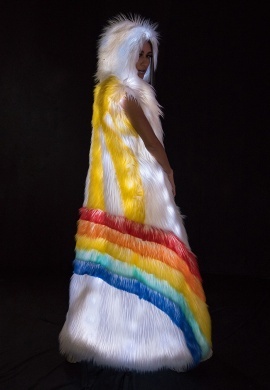 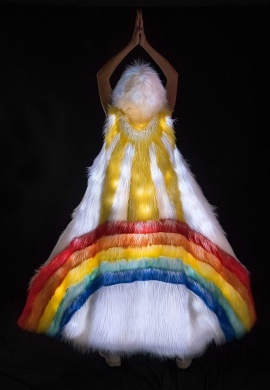 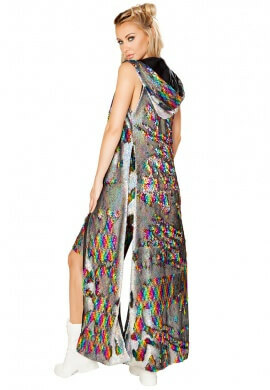 From there you'll have full color spectrum control of the jacket and the ability to adjust brightness, strobe modes, and sound reactive modes. 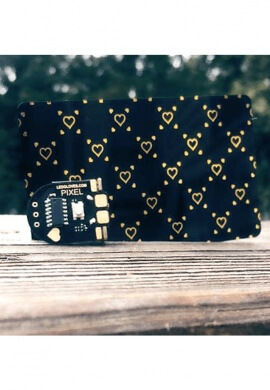 To reserve your phone battery once your favorite colors and modes are selected you can disconnect the connection. 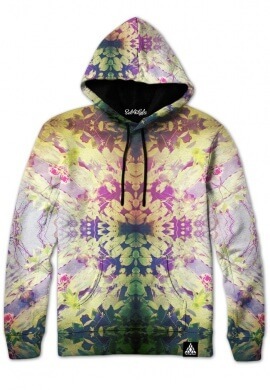 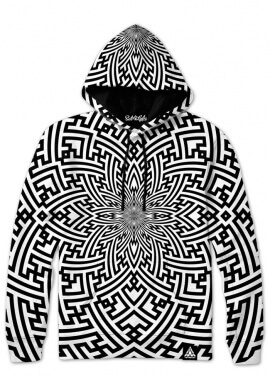 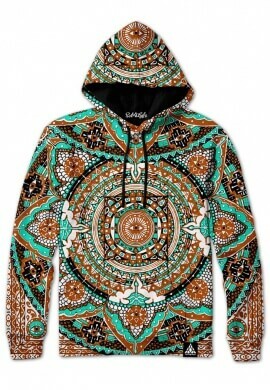 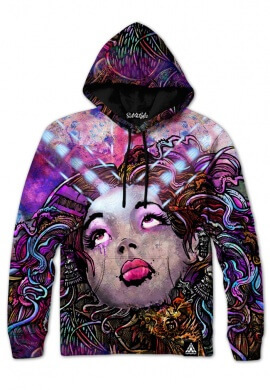 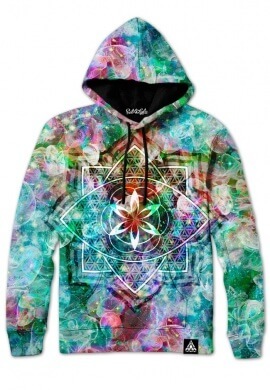 If you choose to not use the Bluetooth application this hoodie will gently fade between colors and a beautiful full color mode. 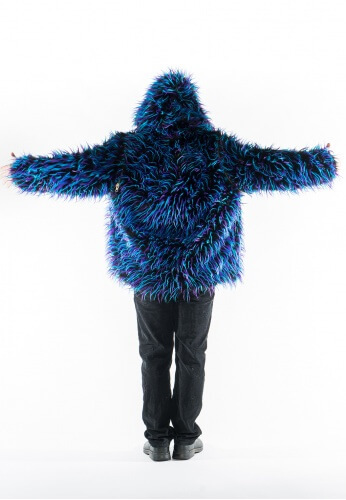 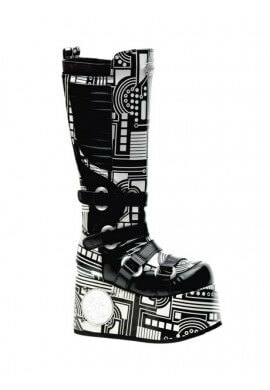 Our sizes are unisex with a modern cut and run about one size small (for men). 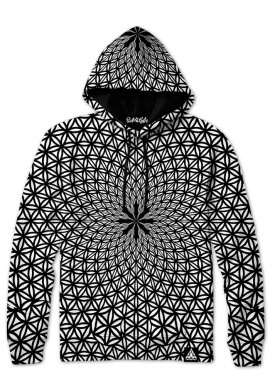 The best way to make sure this hoodie will fit you perfectly is to measure an existing piece of similar clothing and ordering according to that measurement and the chart below.